Digital medium-format capture began with the introduction of sensor-housing backs that were compatible with several existing medium-format camera systems. 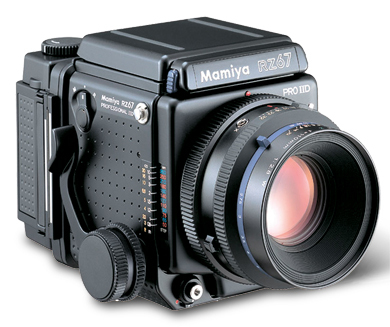 There are backs with 22-60 million pixels from companies such as Hasselblad, Leaf and Phase One that are designed to be used with modern, updated medium-format cameras such as the Mamiya RZ67 Pro IID, Mamiya 645 AFD and Hasselblad V-series models available today. Using a back isn’t a cheap option as they generally start at around £7,000. While these backs were originally intended to allow photographers to turn their expensive (and much-loved) cameras into digital models, some manufacturers have turned their attention towards producing complete digital systems designed from the ground up. In addition to the H4D range from Hasselblad, there are models available from Leica (S2), Mamiya (RZ33), Phase One (645DF) and (hopefully soon in the UK) Pentax (645D). While none of these cameras is exactly cheap, they generally cost less than buying a camera with a separate digital back.